Ireland known for its beauty, friendliness and safety. Being an English speaking country and a part of EU with a moderate climate perfectly suitable for Indian students. Ireland Is considered one of the main hubs to connect to various parts of Europe. It’s about 40 minutes from London. 33 per cent of the population of Ireland is made up of youth; it’s a young and energetic country. The popular courses in Ireland are ranging from Engineering, Management life science, biotech, pharmacy and hospitality management.. Ireland has top companies there for great job opportunities. All large banks are present in Ireland; this makes it a good option for finance related courses. Ireland is the best option for all STEM programs and engineering related courses from software, computer science and automobile. Over the years, Ireland has shown great development and growth in scientific research, this makes it a good choice for material sciences related courses. All international students are allowed to stay for 24 months post their masters to look for a job. After completing 2 years of work, students are eligible to apply for a green card. Your first job in Ireland will fetch you 35000 / year depending on the field. Ireland does not require you to have the GRE or the GMAT Score. All you need is language proficiency score such as the IELTS with score 6.5 and TOEFL score of 80. The university education system in Ireland is one of the best in the world and international students degree and diploma programs. Irish universities offer both undergraduate and postgraduate programs in a range of diverse and related fields. Curriculum quality as well as teaching and research standards are unparalleled compared to anywhere in the world. 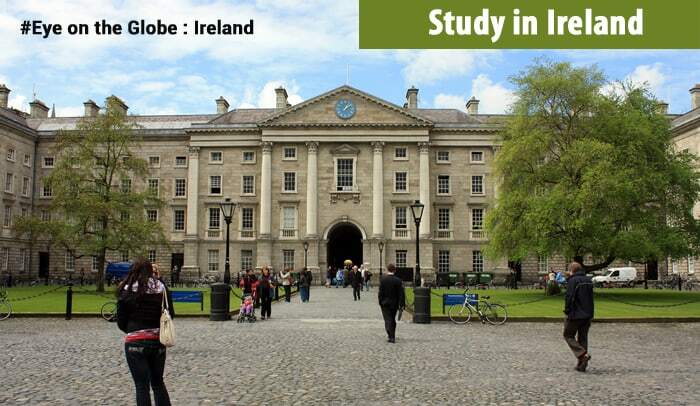 Tuition fee for studying master program in Ireland is 12000 euros to 15000 euros per year. Living in Ireland will cost you approximately 10000 euros., all master’s program duration is 12 months (1 year). Furthermore, all students can work part-time for 20 hours per week, during holidays students can work for 40 hours per week. Students can choose to do internship in university they are studying in. Ireland universities offer bridging programs for students who wish to change their stream for their master’s course. The duration of the bridging course will vary from 6 months to 1 year.